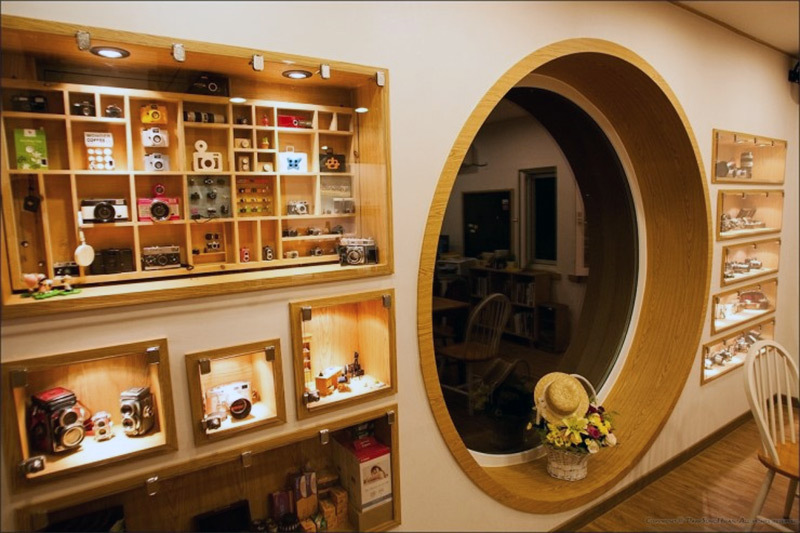 The Dreaming Camera Cafe. How cool is this? 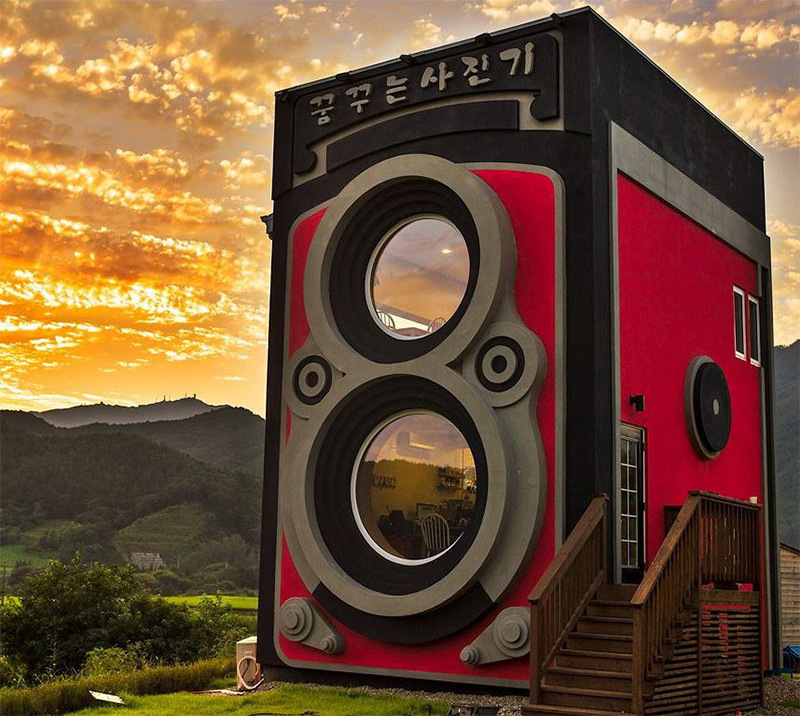 The Dreaming Camera Cafe outside of Seoul, South Korea doubles as a coffee shop and camera museum. 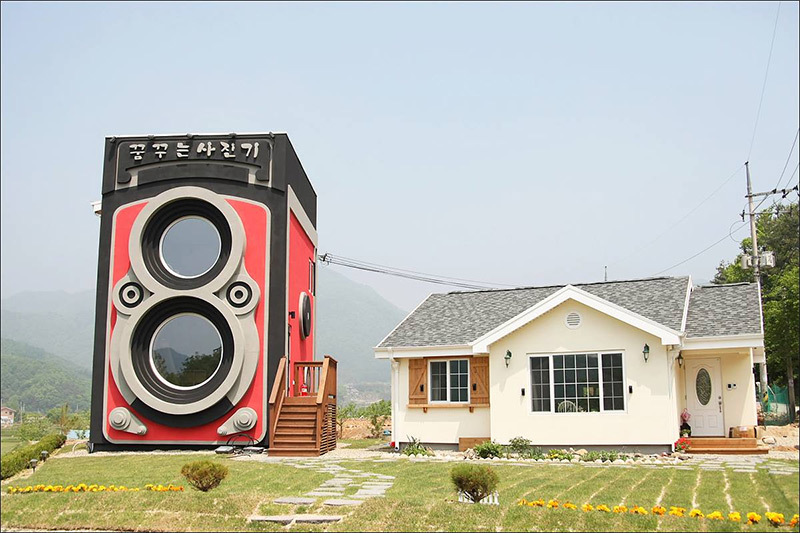 This is the coolest giant Rolleiflex idea Ive ever seen. Opened by an ex-helicopter pilot in the air force, the shop is open every day starting at 11. 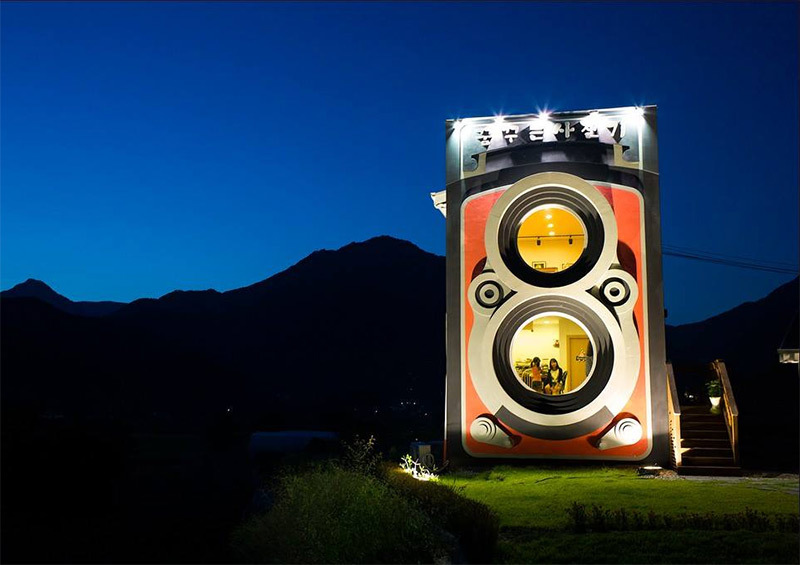 If you think this is random, check out this camera-shapped building. ← Bathtub, Models, Photo Shoot, Yeah!